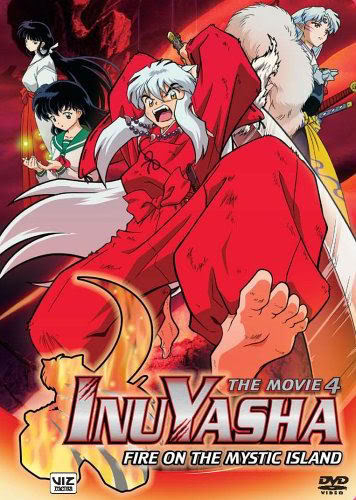 Plot: Fifty years ago, Kikyo and Inuyasha stumble upon an unkown island, the home of several half-demon children. The children are under the watch of The Four War Gods, a group of powerful demons whom are trapped upon the island until their power returns. After battling, and losing to one of the Gods, Inuyasha and Kikyo are marked by the Gods, and thrown into the water around the island. The island disappears once more. The island reappears fifty years later, and Inuyasha returns to free the half-demon children, as well as to lift the mark placed upon him by the Gods which forces him to stay upon the island. Will the half-demon children be freed, or will Inuyasha suffer the same fate as other half-demons before him? Find out in "Inuyasha: Fire on the Mystic Island".